1) Let the henna dry. It can take up to an hour before the henna paste is dry enough not to smudge it. 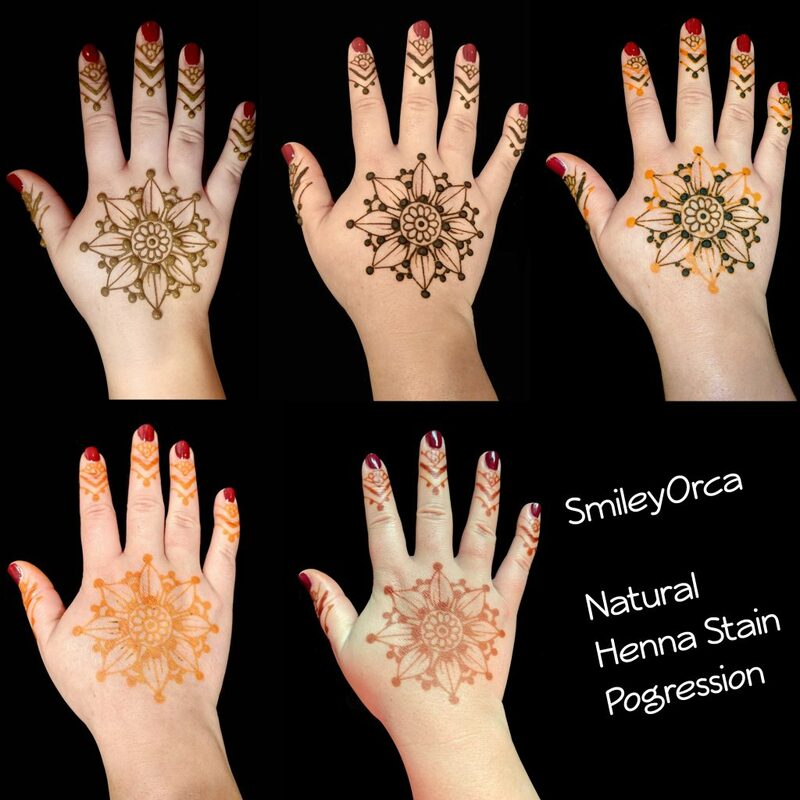 2) The longer you leave the henna on, the darker the stain will become and the longer it will last. Let the paste fall off naturally. Leave it on for a minimum of 3 hours. DO NOT WASH IT OFF. 3) Do not get it wet for the rest of the day. Water exposure, while the stain is orange, can cause a diluted stain. The stain will darken into a deeper reddish/brown over the first three days. Avoid scrubbing and exfoliating the henna area. Apply vegetable oil (or any type of natural oil) to the henna area before showering. Please remember, henna body art is not an exact science. Everyone stains differently due to countless variables. Your stain may last up to a week, but it may last longer if you follow the guidelines.